Maintaining a diverse and resilient water supply, protecting the watershed, and fostering transparent and “plain language” communication with customers were among the goals put forth by the SCV Water’s Board of Directors at a two-day strategic planning public workshop recently. Directors and management staff looked back on key accomplishments from the first year as a regional water agency, then turned their focus to the next five years. This is the first integrated strategic plan since the former Castaic Lake Water Agency, Newhall County Water District, Santa Clarita Water Division and Valencia Water Company came together as SCV Water on January 1, 2018. In discussing what the future holds, part of the workshop focused on what a best-in-class agency looks like. Another exercise helped identify the key goals and objectives for the agency for the next five years. While a previous goal lumped water systems and water supply reliability together, these were separated out at the workshop, noting that each is a distinct and critical piece of serving the community. Regional water resource management will also enhance water supply reliability in the Santa Clarita Valley. It allows a unified approach to water supply programs, including managing local groundwater resources, and increasing the availability of other water supplies such as recycled water. Additionally, SCV Water continues to support the CA WaterFix, a project that will improve the sustainability of California’s aging water system and protect the fragile Sacramento-San Joaquin Delta ecosystems. These programs create a diverse portfolio to ensure the SCV has a reliable water supply. 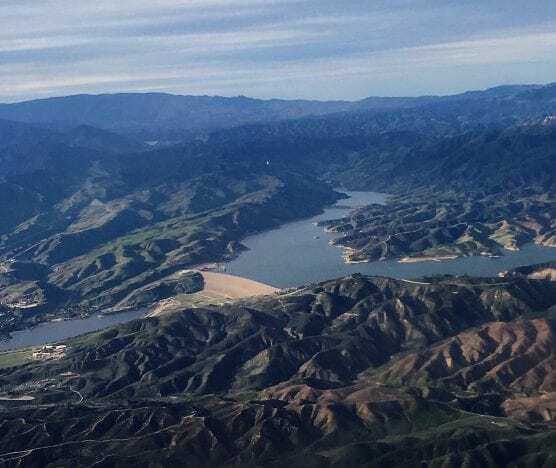 “There is one watershed, one river and now, one agency, to provide management of this critical resource in an effective and transparent manner,” stated Dirk Marks, Director of Water Resources for SCV Water. * Infrastructure Reliability – Implement, operate, and maintain water infrastructure to ensure sustainable water service provision. * Water Supply Reliability – Implement water supply programs to ensure the service area has reliable supplies of water. * Customer/Community – Implement policies supporting the social, quality of life, and environmental values of the community. * Water Quality – Protect the quality of our water supplies and ensure our drinking water meets or surpasses all water quality requirements. * Cost-effectiveness – Maintain a long-range, open, stable and well-planned financial condition, resulting in current and future water users receiving fair and equitable rates and charges. * Organizational Effectiveness – Maintain a well-defined organizational structure that fosters innovation, integrity, leadership, professionalism, respect, safety and teamwork. The draft strategic plan is expected to come before the SCV Water Board of Directors for discussion at a regular board meeting in April 2019. The Santa Clarita Valley Water Agency (SCV Water) is a full-service regional water agency located in the Santa Clarita Valley. SCV Water provides water service to approximately 72,000 business and residential customers. It was formed on January 1, 2018 when local water suppliers combined into one integrated, regional water provider. More information can be found at www.YourSCVwater.com. Just FYI – this was NOT a public workshop. It was a Board Strategic planning meeting. While the public could speak at the public comment portion of the meeting for 3 minutes, the public was in no way encouraged to participate. Two members of the public did show up and were forced to watch the Board eat dinner for 1’2 hour before they were able to speak. They encouraged the Board to include climate change as part of its planning since water to the SCV may very well be reduced. Climate change was discussed, but not included in the final list of goals. Too bad. Yes, yes you will. And when you’re done with us, you’ll bill us good too. And we’ll probably get less for it.